One in five people will live with sight loss in their lifetime despite at least half of all cases being avoidable, warns a new report published by RNIB and high street opticians Specsavers. The report, written by RNIB and Specsavers and supplemented by an independent YouGov poll of 6,430 UK adults found alarming new statistics, including that every day 250 people start to lose their sight in the UK. In addition, one in four women set to develop sight loss in their lifetime compared with one in eight men. The report reveals almost six million people in the UK currently live with sight-threatening conditions yet 25 per cent of people are not having an eye test every two years as recommended by the College of Optometrists. The extent of the problem means that nearly every family in Britain is touched by sight problems in some way. RNIB acting CEO Sally Harvey, says: “Our report reveals new evidence that one in five people will live with sight loss in their lifetime, so our work is now more important than ever. The eye health crisis looks set to deepen and the cost burden is destined to soar unless urgent action is taken. ”Almost 80 per cent of people living with sight loss are over the age of 64, so with an ageing population that is expected to retire later, more of our national workforce will be impacted by sight loss. Alongside rapidly growing demand for eye care services, and capacity problems in some clinics at a time of growing budget deficits, we are facing an extremely challenging time for eye health in the UK, and we must take action now. The State Of The Nation Eye Health 2017: A Year in Review, launched ahead of National Eye Health Week (18 – 24 September), is an annual benchmark of Britain’s eye health by RNIB and Specsavers, who joined forces in 2016 to raise awareness of the importance of eye health at every level to help prevent avoidable sight loss. 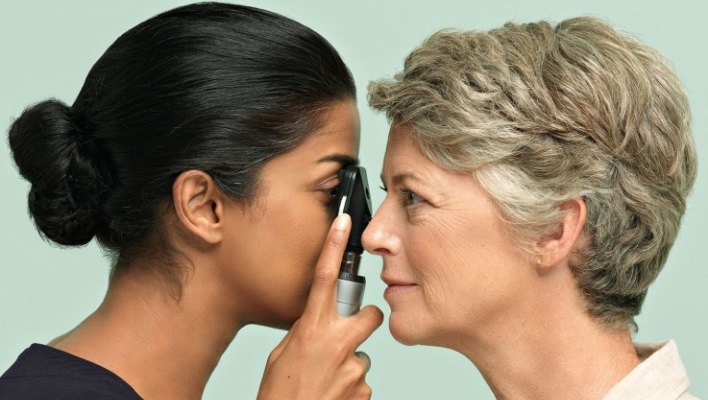 While a YouGov survey commissioned for the report suggests 1.1 million more people took action to improve their eye health by visiting an optician since the campaign launched last September, there is much still to be done, according to Specsavers founder Doug Perkins. An optometrist for more than 50 years, he says: “We are calling on political leaders, senior decision makers in health and social care, and local champions to work together to ensure that people receive timely treatment to prevent avoidable sight loss. The report marks a stepping up of RNIB and Specsavers transforming eye health campaign, which will include a multi-million pound investment in marketing, nationwide fundraising and a tour of the UK with the RNIB Eye Pod simulated sight loss experience to educate the nation about the importance of eye health. What is National Eye Health Week? Where is the Eye Pod Tour going?